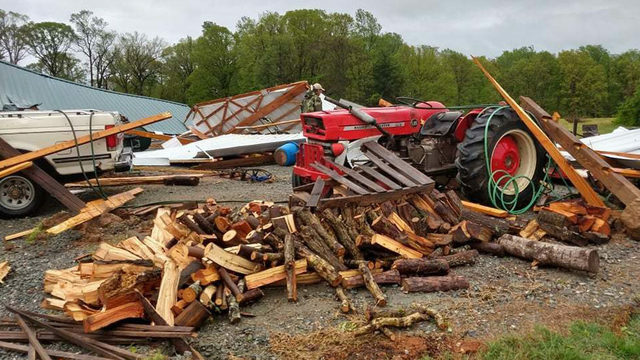 ROANOKE, Va. - A large storm is coming ashore on the California coast and it's bringing flooding rains and heavy mountain snow. Above 5,000 feet, the snow is being measured in feet. Multiple feet. Blizzard and Winter Storm Warnings are in effect for those areas expected to receive 80-100" of snow from the time the snow started yesterday through Thursday evening. That's more than 8 feet of snow in just a days of days. 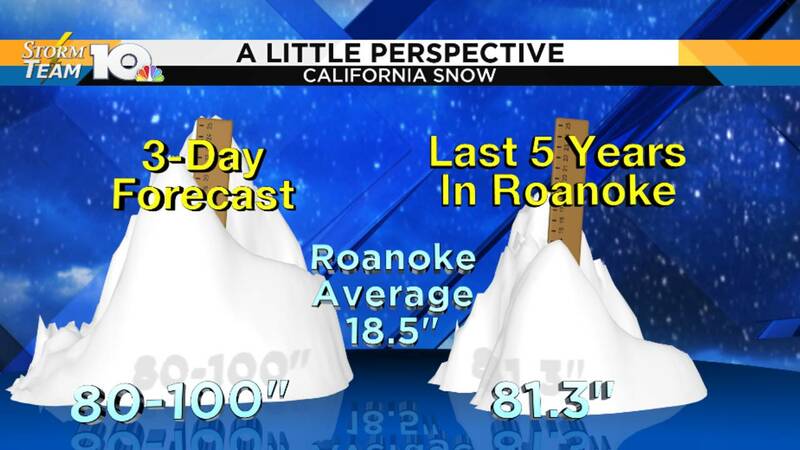 To put that in perspective, that is more snow than Roanoke has seen n 5 years. 60-80" of snow is still yet to come. On top of the snow, hurricane force wind gusts greater than 80 mph will be likely in the highest elevations.